Does this mean we get to have a new console war? Cubemen 2, the community-friendly defense game from 3 Sprockets, is getting ready to tread new ground. Cross-platform support between Wii U, PC, Mac and Linux systems means everybody gets to fight everybody! Being a Wii U owner usually means your co-op games take place on a little island known as your couch. If online support is included, that island gets a little bigger, but it still feels restricted. In late 2013/early 2014, Cubemen 2 will become the first Wii U title to support cross-platform online play, a feat that totally trumps Monster Hunter 3: Ultimate's local crossplay between Wii U and 3DS systems. Huzzahs all around! The basic premise of the blocky defense/strategy game Cubemen 2 is simple: move your cubemen units around a series of maps to attack enemies of both the human-controlled and AI variety. The built-in editor allows custom levels to be created and shared by the community. There's even support for player skins and level themes. At the time of writing there are over 4,000 user-made stages to wage war upon, with hundreds more appearing each week. Cubemen 2 has been gathering a strong following since early this year when it launched on PC, Mac and Linux systems. An iOS version hit just a few months later, itself offering cross-platform play between iOS and OSX systems. The strength of Cubemen 2 comes in its variety, offering half a dozen modes of play, including several for solo, co-op and competitive skirmishes. Plenty to keep you busy attacking/defending/cursing out the other team for weeks on end. 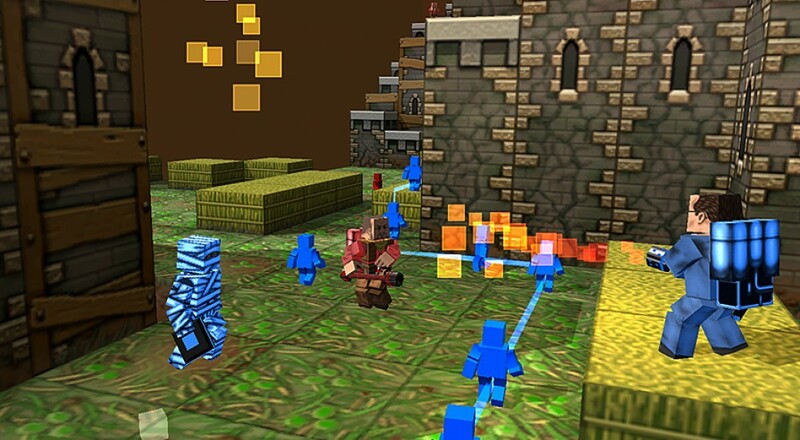 Cubemen 2 supports online co-op for up to six players. It is currently available for PC, Mac, Linux and iOS systems, with the Wii U release scheduled for late 2013/early 2014. Page created in 0.8000 seconds.